This software is high-speed lossless and lossy video codec for windows. CoreAVC™ is a H.264 video codec created by CoreCodec™. CoreAVC™ is based on the MPEG-4 Part 10 standard and is one of the codecs used in Blu-ray and in High Definition DVD (HD-DVD). Dirac is a general-purpose video codec aimed at resolutions from QCIF (176x144) to HDTV (1920x1080) progressive or interlaced. It uses wavelets, motion compensation and arithmetic coding and aims to be competitive with other state of the art codecs. The OpenDivX initiative plans to release open-source DivX/MPEG-4 codecs. 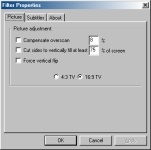 DivX For Windows is the Windows version of the product of the initiative. DivX for Mac is a video compressor for the Mac OS, includes player and converter software. The Enosoft Enhanced DV Decoder displays a variety of pieces of information from DV files or live DV streams. All that is required is a DirectShow®-based DV player (such as Microsoft® Windows® Media Player) or capture program.